We are in the news! 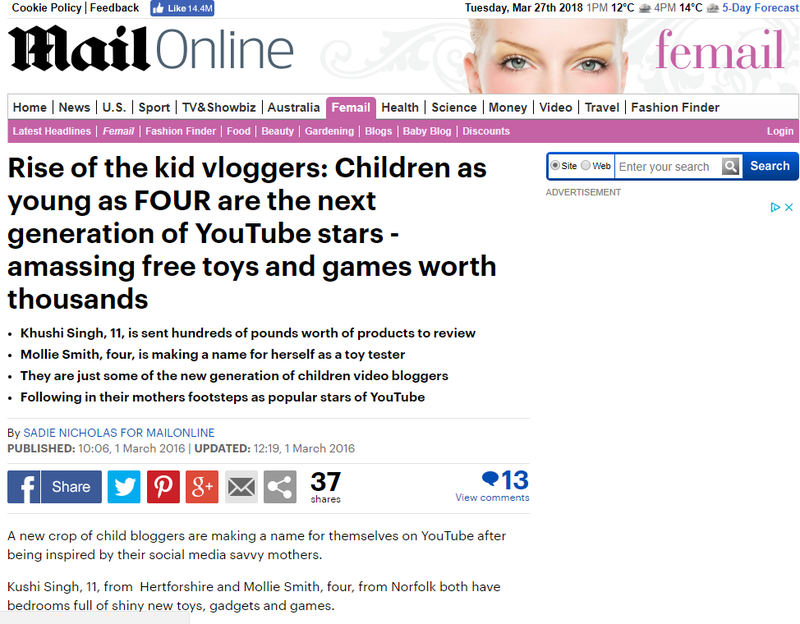 Mum and I were interviewed for a feature on the ‘Rise of the Kid vlogger & blogger’ and here I am! Check out the full article here.